Whether it is introducing new technology, moving the company, buying or selling parts of the company, being sold or being bought by another company, going through the wrong part of the economic cycle, change is everywhere and change is constant. 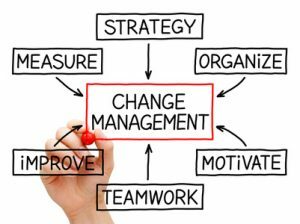 Companies that are successful, become successful and remain successful because they can not only deal with change but actually actively manage change. Every change in your company has an impact on your workers, there is no change in any company that does not affect the workers at that company and change can only be created by the workers in a company. 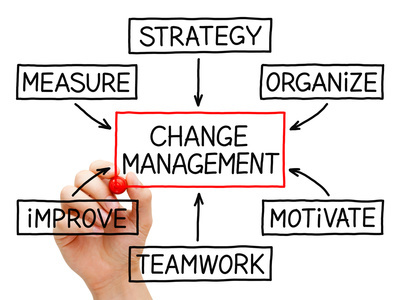 So managing change is managing the workforce. In order to manage something, you will need to be able to measure what you are managing first. Most managers are not actively aware of their company culture and do little to manage it day to day. In times when change is upon you, it is important to understand what your company’s culture is and have an idea of what you want it to be or what you want to preserve or change about that culture. Company culture starts at the top with your leaders, is carried by your senior managers and should be rooted in the attitudes, beliefs and actions of the workforce. Many things can indicate or create company culture; relations between co-workers and between managers and their staff, beliefs held by the top level managers in the company, a certain pace of work, policies and procedures, meeting formats and frequencies, approach to social media, promotions and recruitment practices etc. None of this is rocket science. This is all doable but you need to think about, plan it and actively manage it or the change will happen to you and the results will be unpredictable and may not be what you need or want.